There is no better way to get in the mind of your audience than to listen to customer calls every day according to Ian Cowley, Managing Director at Cartridge Save. In fact, Cowley suggests one of the key benefits of call monitoring in the call centre is that it’s a great way to identify any issues that are cropping up in the business. “Customer satisfaction can be tricky when you’re not selling in the face to face channel. “If the ink cartridges we’ve sold them aren’t working, they cant print  and thats a massive headache. Even a simple issue can be a serious problem to a customer, and as a business, you need to respond accordingly”. This example can, however, translate to any business within the contact centre industry. 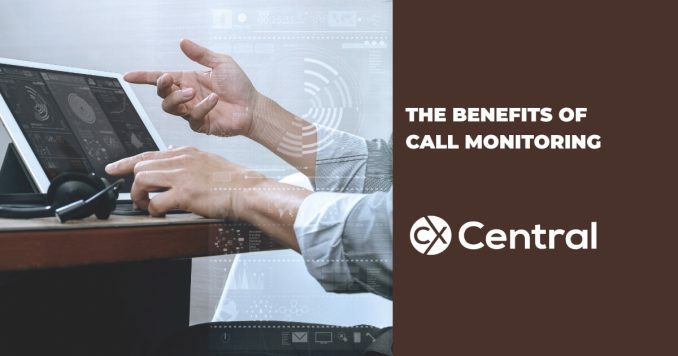 One of the key benefits of call monitoring in the call centre is that it offers us the opportunity to gain a greater understanding of the issues that drive customers to get in touch with us  and also an appreciation of how our call handlers deal with them. It can prompt us to make changes within our business, and can also aid us in noticing and improving components of the customer experience. One such change that Cowley has made in his business is in the customer identification process. “In the past, we would find out why people were calling, then get their name, address etc. and find them on our system. Now, straight away, we ask for the customers order number, then we get their details loaded on the system in an instant before we’ve even started to talk about their problem. This leads to a much smoother, more efficient call”. Cowley suggests that the best thing we can do is empower our call centre agents to make customers happy. You can theorise about solving customer issues and talk endlessly in meetings about improving customer experience, but nothing resonates more profoundly than listening first hand to live or recorded calls. It gives you real insight and your business decisions will be better, as a result, reflected by the level of customer satisfaction your organisation is providing. There is some great technology that enables you to easily conduct call monitoring either side by side, or even with remote agents. Using AI, you can now use real-time Voice Analytics to ‘listen’ to thousands of simultaneous calls and automatically alert Team Leaders when it detects keywords or changes in emotion. And whilst remote monitoring in the call centre offers some great benefits, make sure you are also conducting side-by-side coaching – its one of the most effective tools available to Team Leaders that doesn’t cost a cent.